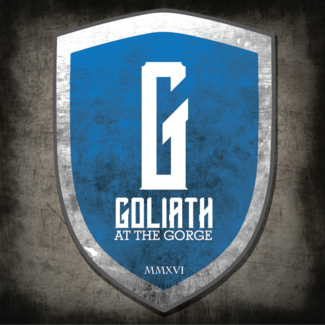 The Goliath at the Gorge is Northeast East Tennessee’s Toughest Race as the course covers 6 miles of Doe River Gorge’s rough terrain. The Max (approx. 10K) participants will be challenged by over 20 obstacles and the Mini (approx. 5K) participants will get their fair share as well. Runners will face a 500 foot incline within the first mile and end the race with a 100 yard mud trench. Between the start and finish, participants will battle the elements of water, sand, stone, wood and fire. The epic conclusion will be the opportunity to conquer Goliath in a Coliseum like setting with their very own sling shot and three stones. This unique event is one that you will not want to miss. We anticipate over 1500+ visitors for the race and Doe River's Open House. We will need organized individuals to assist with parking.